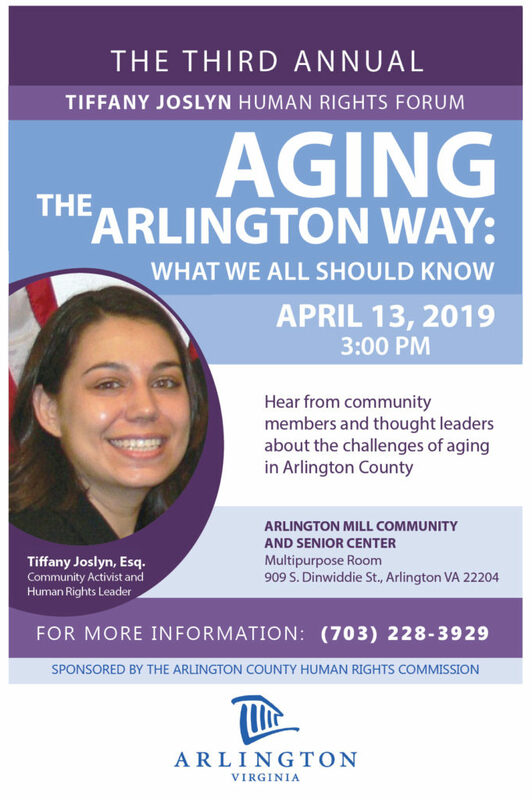 Join the Arlington Human Rights Commission on for the Third Annual Tiffany Joslyn Human Rights Forum Aging the Arlington Way: What We Should All Know. 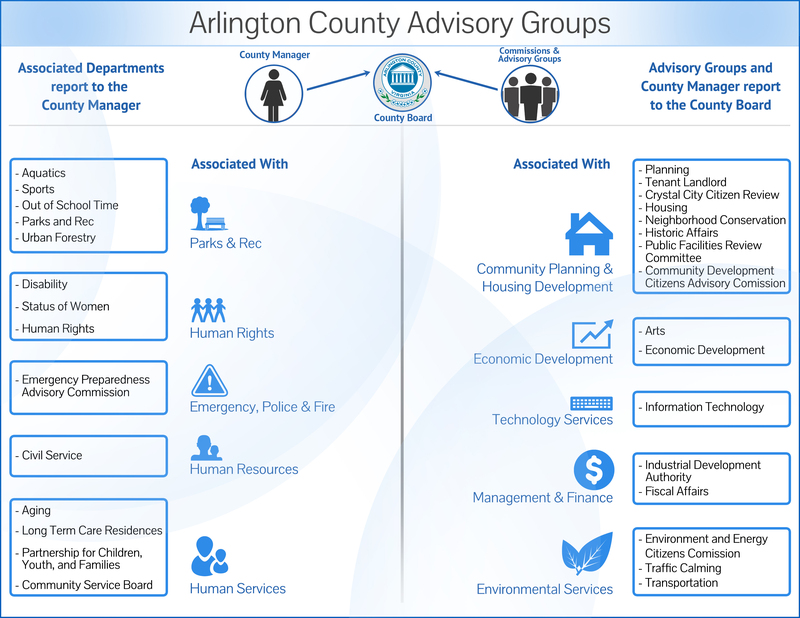 Hear from community members and thought leaders about the challenges of aging in Arlington County. On May 11, 2017, the Human Rights Commission held the first annual Tiffany Joslyn Human Rights Forum. The forum is named in honor of Tiffany Joslyn, an attorney and Arlington resident who served on the commission and was an LGBT advocate. Joslyn, 33, died in a car accident in 2016. She served on the board of the Arlington LGBT group AGLA and was a president of the LGBT Democrats of Virginia PAC, active in the Arlington Young Democrats and the Arlington County Democratic Committee. In 2016, she was posthumously awarded Arlington County’s James B. Hunter Award, the County’s human rights award. On May 10, 2018, the Human Rights Commission sponsored the 2nd Annual Tiffany Joslyn Human Rights Forum: Hate Crimes on the Rise: What is the impact in our community? Local leaders and experts shared information about hate crimes, how to identify the intent to intimidate, and group association in our community. The forum held on July 25, 2018, focused on employment rights and employment discrimination of immigrants and non-citizens, including how to file a complaint through the Arlington County process. The 2018 James B. Hunter Human Rights Awards ceremony to honor 2018’s winners was held on December 13, 2018. On Thursday, May 11, 2017, The Arlington County’s Human Rights Commission held the 1st Annual Tiffany Joslyn Human Rights Forum, “Broadening the Rainbow: Hidden Voices within the LGBT Community,” at Walter Reed Community Center. Community leaders, subject matter experts, and advocates discussed how to protect the rights of the County’s lesbian-gay-bisexual-transgender (LGBT) community and the challenges of upholding the rights of all people in the County. On July 13, 2017, Arlington County Human Rights Commission annual forum offered an opportunity for employers to learn about human rights issues including equal employment, organizational development, demography, and workforce psychology. Representatives from the Arlington Human Rights Commission, the U.S. Employment Opportunity Commission, the U.S. Department of Justice, professors from George Mason and George Washington Universities and other human resources representatives from various private organizations participated. A panel of experts discussed issues related to overcoming barriers for the employment and advancement of females and minorities in the workplace, including how to identify barriers and help overcome them to create a more diverse workforce. The 2017 James B. Hunter Human Rights Awards ceremony to honor 2017’s winners was held on December 14, 2017. The Office of Human Rights and the Commission in a joint effort with the EEOC, The Office of the Special Counsel for Immigration and Employment Related Affair offered the community of non-profit organizations in Arlington, an educational forum on civil rights and employment matters.